Vizit™ is deployed to your SharePoint Farm via a solution file (WSP). As part of that solution, Vizit™ contains Features which allow you to integrate Vizit™ into various pages and provide access to Vizit Essential™ and Vizit Pro™. 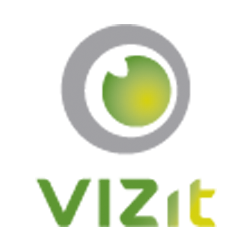 In addition to the 'Vizit™' Feature, other features are installed that enable various functionality of the product. In order to make the installation process easier, we provide a SharePoint Solution installer with the WSP file embedded. Simply run this executable on a machine in your SharePoint farm as a Farm and Local administrator, and the Vizit installation can be completed very easily. and you will be prompted to save the WSP to a location on that machine's hard drive. You can then copy that file to your SharePoint server and use either PowerShell or a command prompt to complete the deployment using standard SharePoint installation techniques. Since SharePoint 2007 provides support for 32-bit as well as 64-bit environments, we offer separate installers for those platforms. You must run the installer that corresponds to the platform that your farm is running on. We do not support mixed-platform environments. SharePoint 2010 is a 64-bit only product, so there is only a single Vizit™ installer for 2010.